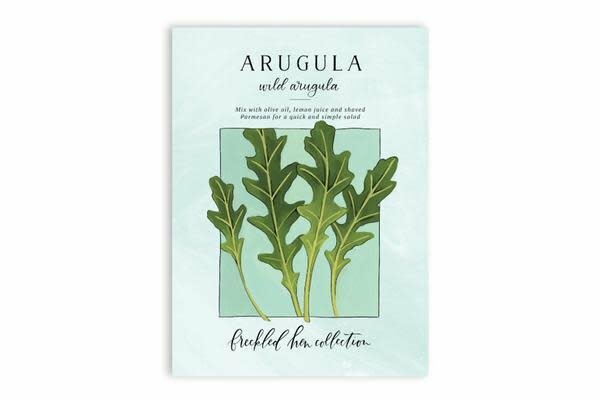 Arugula is a cold-hardy green that will add a spicy kick to your salad and make a great pizza topping. The long, dark-green leaves are very nutritious and can be harvested multiple times as cut-and-come-again. 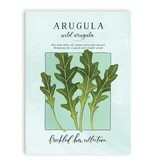 Plant arugula every 3 weeks in the spring and fall for a continuous harvest. Where to plant :: Plant arugula in an area with full sun to partial shade and moist, fertile soil. When to sow outside :: Directly sow arugula in early spring as soon as the soil can be worked and plant again in late summer for a fall harvest.